The notion of female body hair removal is a tricky one. Not only is it a controversial topic that's as sensitive as a freshly-waxed armpit, but it's also an embarrassing pursuit putting oneself in the hands of a professional for the first time. 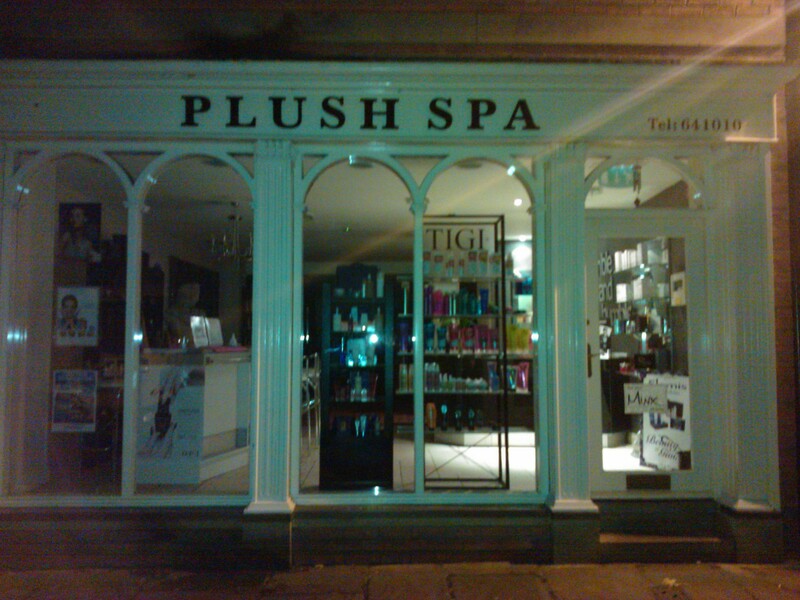 Having tried every hair removal product under the sun, from odorous creams to excruciating epilators, I decided to visit Plush Spa in York and give myself the Hollywood treatment, if you'll pardon the pun. I don't wish to offend my fellow fuzzy females so I shan't go into much detail, but it's something that incites a lot of fear in the female population, so I should put some horror stories to rest. Here's the reality ladies: it doesn't hurt. In my short time at the quaint spa on Castlegate, I heard all manner of hilarious anecdotes to do with my stylist's previous clients. One in particular stuck out in my mind, concerning one of the regulars ringing up in a panic proclaiming, "I haven't taken my vodka and aspirin, what am I going to do!?" You'd think the poor woman was going for root canal rather than a bikini wax. Suffice to say, my stylist informed me that she survived without her curious pain-relief cocktail. Far from the cold and clinical red room of pain that most women imagine these salons to be, Plush Spa was only too welcoming. I was pleased to be offered a drink on arrival, before being invited to peruse the gossip magazines, surrounded by candlelight and a pleasant cocktail of aromas. There's every effort to protect your privacy too – my stylist, a delightful Lithuanian girl who'd picked up an endearing semi-Yorkshire accent, left the room while I awkwardly undressed and provided me with a pair of 'paper pants' to further shield my modesty. The warm, serenely-lit room was the epitome of relaxation as I lay on the bed quivering in anticipation, calmed only by the relaxing music gently oozing from the speakers. The process itself was not only painless (bar a couple of minor 'ouch' moments toward the end) but also surprisingly quick – I'd become so content gabbing to the woman who was supposed to be inflicting pain upon me that I wasn't even aware she'd finished. Putting it bluntly, the process consists of coating your particulars in very warm wax (possibly the most unpleasant part of the whole experience, and it really wasn't!) and stripping away in short sharp bursts. Far from the ten foot long sterile bandages and ongoing pain I was imagining, (think the waxing scene in Kevin and Perry Go Large) my stylist proceeded to get things over and done with in short stages, and probably did me a favour in not warning me when she was going to start. At £30 or £27 for students on Tuesdays and Thursdays, the process was a little dear – however, you have to consider what you might spend on hair removal in the three or so weeks that the effects last. I left Plush Spa feeling refreshed and enlightened, confident that the rumours about painful bikini waxing were nothing but old wives' tales. The expense and minor flinching might not be for everyone, but if you're curious, I'd definitely recommend it – as they say, no pain, no gain. You can check out the full range of waxing services online on the Plush Spa website. Awesome article Katie, I admire how far you go for the sake of your writing craft. Congratulations on publishing your 30th article, I always enjoy your work. Thank you Shannon! Always a pleasure, or should I say pain in this case!